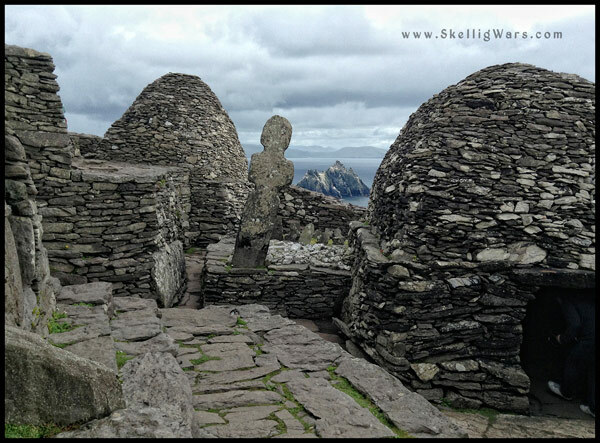 As soon as it was revealed that scenes from Star Wars: The Force Awakens were to be shot on Skellig Michael, locals dubbed the island the “Jedi Monastery,” a reference to Luke Skywalker’s supposed exile there for almost the entire movie. And what a place to be exiled! 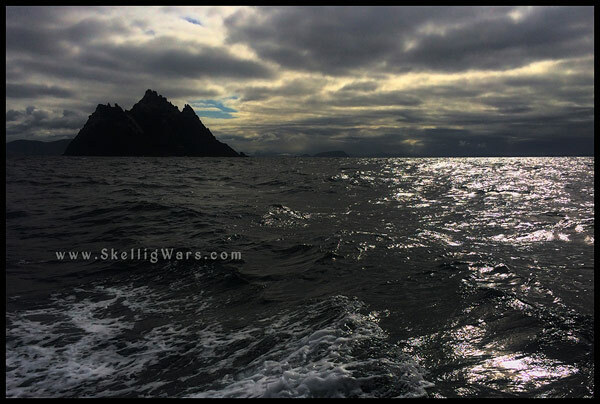 We’ve been lucky enough to see Skellig Michael in all its moods, from mist-dripping shadow to sun-and-sea sparkle, but we’ve also been lucky enough to hop on the boat home every evening. We can’t imagine what it must have been to live out there, but for your sake and the sake of all wannabe Jedi monks, we’ll try. Skellig Michael is undeniably, spectacularly beautiful, but it would not be the first address most people would single out as the ideal place to settle down. Then again the monks who made it their home were not most people. After St. Anthony decided he wanted to be alone in the desert, many monks took the notion to find their own escapes, establishing monasteries on islands from the Orkneys to the Faeroes. Inspired by this desire to enter exile for the love of God—otherwise known as peregrination pro Dei amore—a small settlement of probably no more than 12 monks and an abbot struck out to build “the most westerly of Christ’s fortresses in the Western world” on Skellig Michael. The island, just 17 hectares in area, is dominated by twin crags, with a flatter area in between the peaks called Christ’s Saddle. The monks built a platform on the lower, more accessible crag at the north-eastern end of the island, constructing three tortuous stairways (one with 670 steps) from the base of the island by chiselling rock and by moving thousands of flat stones. They then used a dry-stone walling method called corbelling to build six beehive huts (clochans), two boat- shaped oratories, some stone crosses, and a graveyard. As you will see when you visit the island, stones were not in short supply. Even this simple existence was too comfortable for at least one intrepid monk, however, who chose to make the perilous ascent up the higher of the two crags, on the south-western end, to create his own retreat, a hermitage clinging to the narrowest of ledges 700 feet above the churning Atlantic. Love of God was not enough to sustain these hardy souls, and agriculture was also seen as being good for the soul, so the monks did cultivate relatively extensive gardens on Skellig Michael. There was not enough space for grain, so fish, eggs, puffins, and other seabirds were an important part of the menu. Despite their austere and ascetic lifestyles, the monks could not deny their mortality, and by the 13th century, life on Skellig Michael became impossible. As if Viking raids were not enough to contend with, an expansion of the polar ice cap beginning around 1200 AD made the weather more severe, and the monks withdrew to a site on the mainland, on Ballinskelligs Bay. The island remained in the hands of the Ballinskelligs monks until 1578, when Queen Elizabeth I dissolved certain monasteries, and the island became private property.